Despite having the entire package, many of our most beloved idols in the industry are still single. 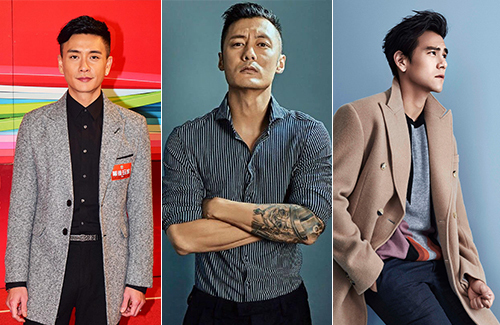 Bosco Wong (黃宗澤), Shawn Yue (余文樂), and Eddie Peng (彭于晏) are all diamond bachelors and popular with the ladies, but feng shui masters says their love life won’t be as easy as it looks. According to feng shui master Louisa Yun (雲文字) said 35-year-old Bosco is very popular with women and will have many opportunities to start new relationships, but it will be difficult for him to have stable relationships, and find a wife. As for 34-year-old Eddie Peng, who is often rumored with older actresses, Louisa Yun said he is better-suited with older women who can take care of him. oh la la 3 hot and single lads! Sometime when you are too good looking make it hard to give a sense of security to the other half. I don’t know about Eddie but I think Bosco and Shawn are more good looking. totoally agree. different level of handsomeness. @cutie777 don’t like guys with 6 packs…toned arms and 1.8m is very attractive to me. crazy over Ruco Chan and i find Bosco attractive. Eddie needs only to take off his shirt and he wins. Anyway whatever the fortune teller feungshui master said, as if said nothing at all. truth is, if anyone belives in these fortune teller, they will never be sucessful and become bigger than what was foretold. @funnlim Not a fan of Shawn or Eddie so don’t find them good looking.. But gotta admit, Eddie got one hell of a body!!! Like Bosco… he has a boyish charm that I like. @happybi yes yes yes….bosco has that kind of a boyish and a little naughty looking charm. i don’t go for the body. he looks so good in the recently ended drama. like DUH … that’s like saying the sky is blue. common sense. this fortune teller is paraphrasing what is an obvious outcome.